The AAO East/est is a not-for-profit, volunteer-run organization that has supported the Eastern Ontario archival community for over 30 years. AAO East/est organizes a number of events throughout the year on relevant topics for both members and non-members. Founded in 1994, the British Isles Family History Society of Greater Ottawa (BIFHSGO) encourages family history research and its dissemination by people with ancestry in the British Isles. Join us at our monthly meetings at Ben Franklin Place in Ottawa. The purpose of the Friends of the Canadian War Museum is to promote, support and assist the Canadian War Museum with a view to educating present and future generations of Canadians on Canada’s military heritage, preserving historical artifacts, promoting research and encouraging future generations to reflect on past sacrifices. 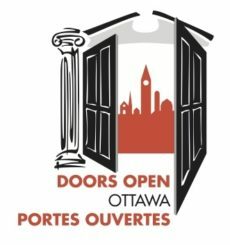 The Friends of the City of Ottawa Archives (FCOA) is a voluntary non-profit association that supports the Archives in protecting and sharing materials relating to Ottawa’s remarkable history. Built in 1962, the Gloucester Historical Society resides in the former Gloucester Township Hall. Volunteers will address questions regarding the history of Gloucester, and offer tours of the Gloucester museum artefacts located in the same building. Historic St. James Anglican Church will also be open next door. Parking is available off Leitrim Road next to the Fire Hall. 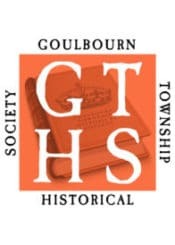 A community group dedicated to the history of the former Goulbourn Township, now amalgamated into the City of Ottawa in Ontario, Canada. Preserving and keeping local history alive is what we do so if you are interested in history and heritage, please join us.